We’ve heard for years now that minimalism is a mark of noble character. 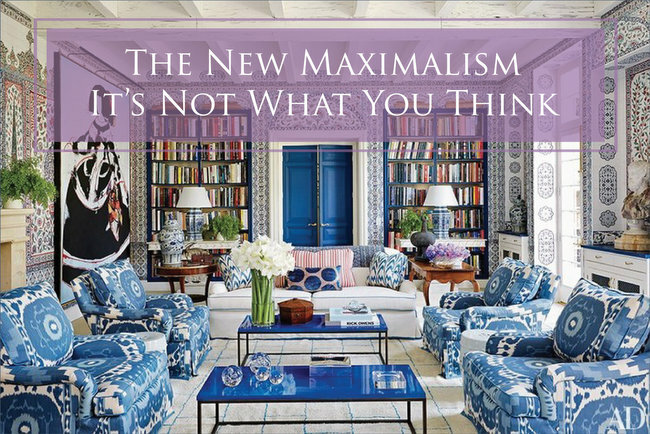 Those of us who are maximalists have been called materialistic, hoarders, or shopaholics. Minimalists believe they have the moral high ground. Is it a crime to enjoy the “stuff” of home? I, for one, am tired of being shamed for my appreciation of things (many, many things). Is it wrong that I have a dresser full of oddities from other eras that I pull out on occasion to adorn my table for a dinner party? Should I be embarrassed that my fireplace mantel is packed so tightly with pretty little things that I can nary fit a thimble on its edge? 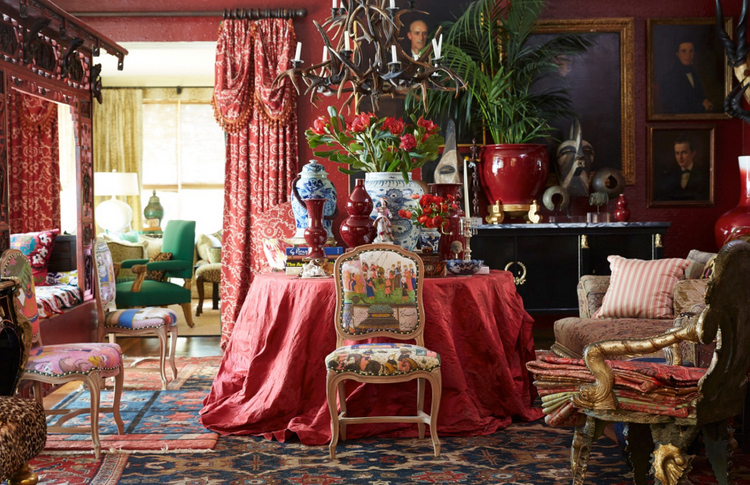 I boldly declare that maximalism is a wondrous thing! But wait. That’s not exactly what we’re going to talk about today. We need to discuss the NEW Maximalism, and it’s not what you think. Who else is going to preserve history if not maximalists? We are collectors and appreciators. Every bauble has a story, which in turn makes it a conversation piece. We treasure old books. Not only do we read our beloved books, but we stack them like teetering side tables and employ them as a pedestal for our favorite great aunt’s chinoisserie lamp. While the New Maximalism certainly honors history and elevates the humble brick-a-brack, it’s actually concerned more with CURATION than collection. The New Maximalism isn’t about hoarding useless or unattractive junk, but living life within the walls of our homes to the fullest. 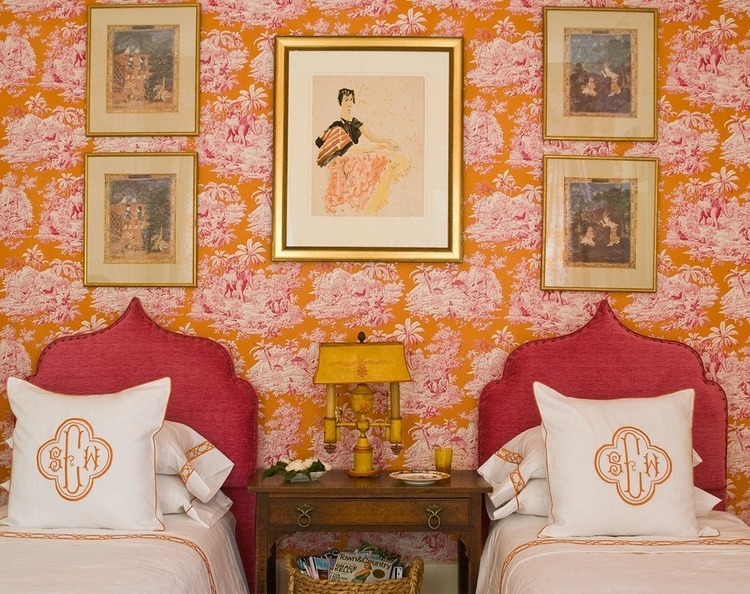 It’s about embracing color and pattern and beauty from across many eras and styles. The New Maximalism is creative and courageous. I’m so much more inspired and invigorated by images like these than I am a monochromatic interior that looks like every other monochromatic interior . . . Sure, beige is “restful” and “peaceful,” but when’s the last time it turned you on? 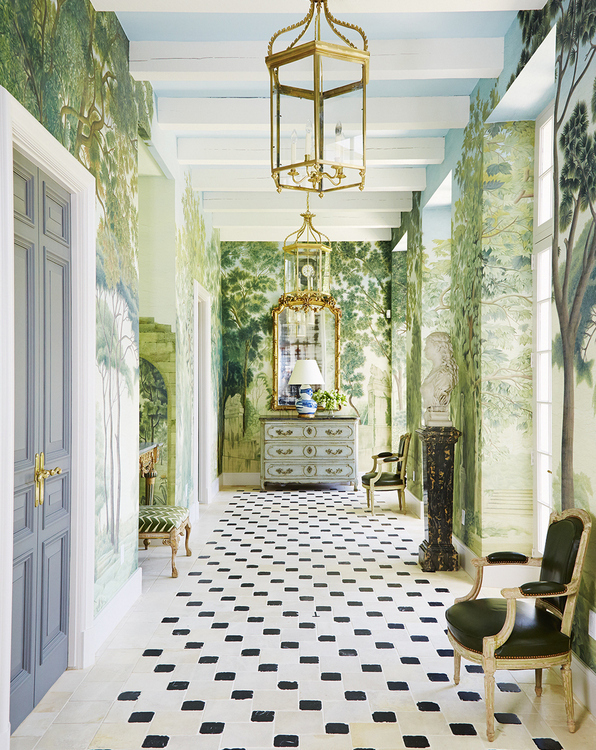 Colorful and scenic wallpaper plays big in the New Maximalism, as are painted doors and ceilings in colors other than white. Asian motifs and animal prints live along side mid-century furniture and Grandmother’s crystal chandelier. 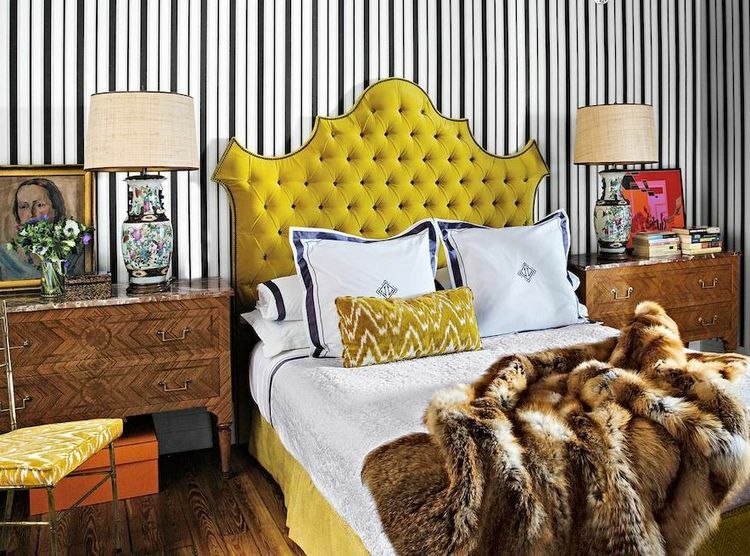 And if The New Maximalism is defined by a metal, it is DEFINITELY gold! 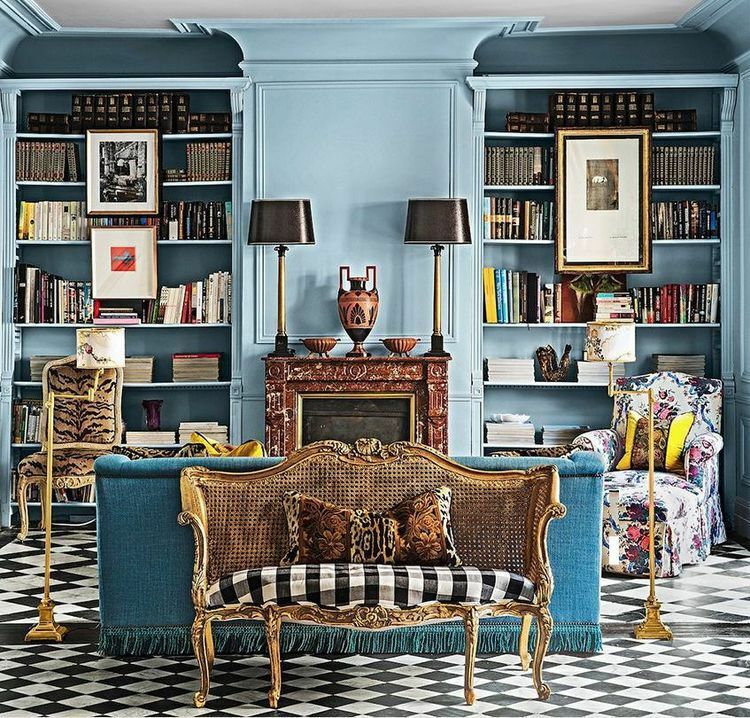 The New Maximalism encourages reusing and recycling. 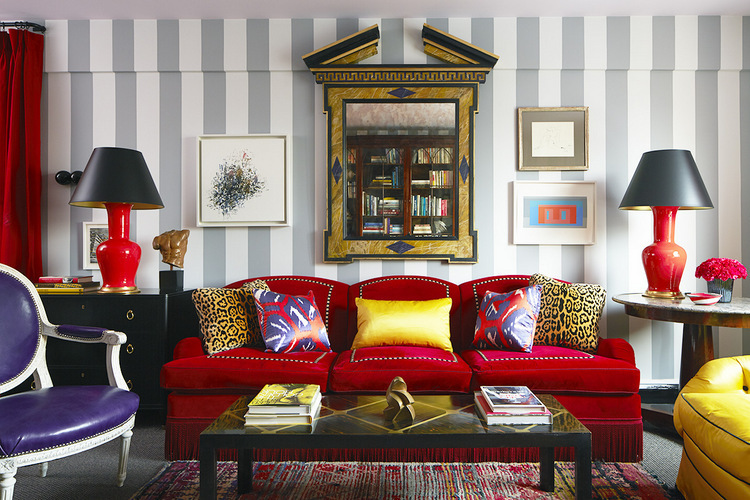 Rather than throwing out things when we tire of them, maximalists find new ways to restore them to good use. We rescue the unappreciated treasures cast off by minimalists who no longer see any value in them. Slightly-off color matches just adds to the quirky beauty. 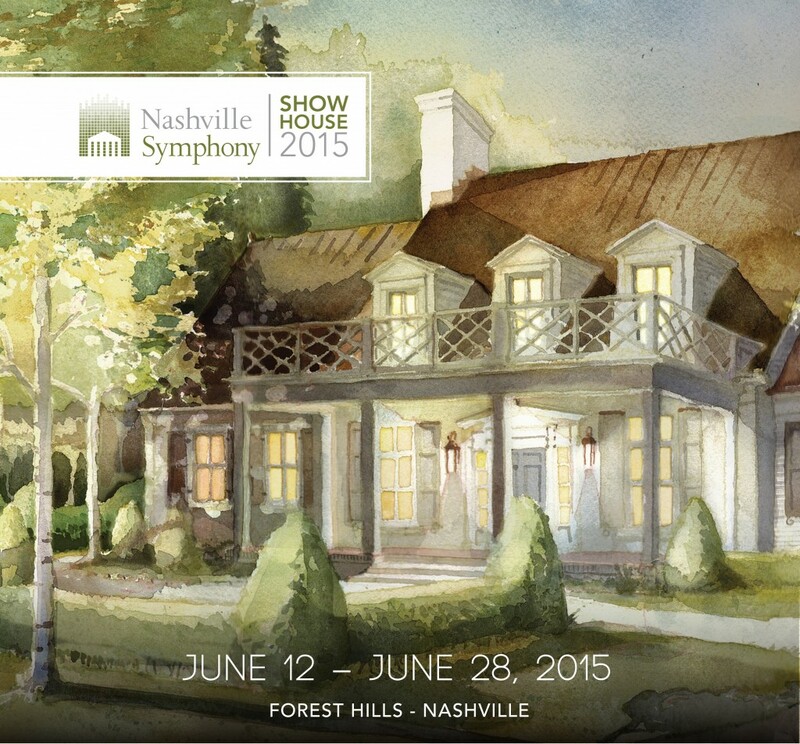 All styles and periods are perfectly at home with each other, like things collected over a lifetime of adventure. Maximalism delights in the small pleasures. It is nostalgic and big-hearted, hungrily feasting on the tiniest of details in a vintage fabric, patinaed brass, and colored glassware. Setting the dining table is an adventure – each time never the same as the last. The New Maximalism isn’t without restraint. There is method to the madness, and (dare I say?) a controlled chaos about it. 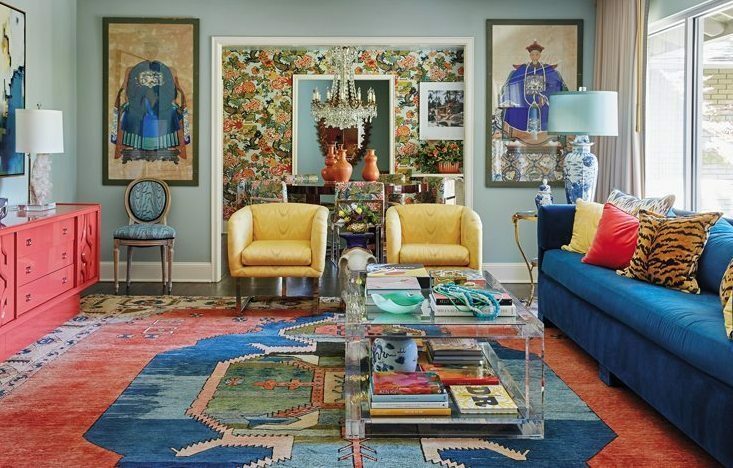 The New Maximalism is infinitely more fun than minimalism. It’s unapologetic in its love of nostalgia and the stuff of life. And it’s a great place to cuddle up and read a good book. How many of you have been watching the new Netflix series with Marie Kondo called Tidying Up? It may shock you to know that I actually watched the first episode while I was editing this blogpost. A little ironic, don’t you think? Now it’s your turn. What do you think about the New Maximalism? All in, mixed feelings, or no way? 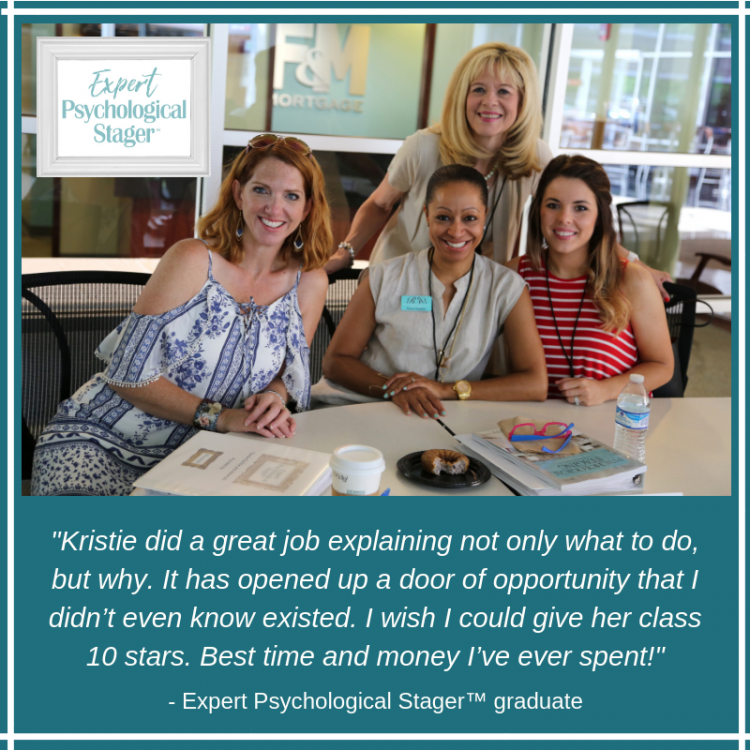 Our spring Expert Psychological Staging course is just two months away. Sign up now to reserve your seat – spots are limited and we’ve sold out every class for more than two years! You can find out more here. 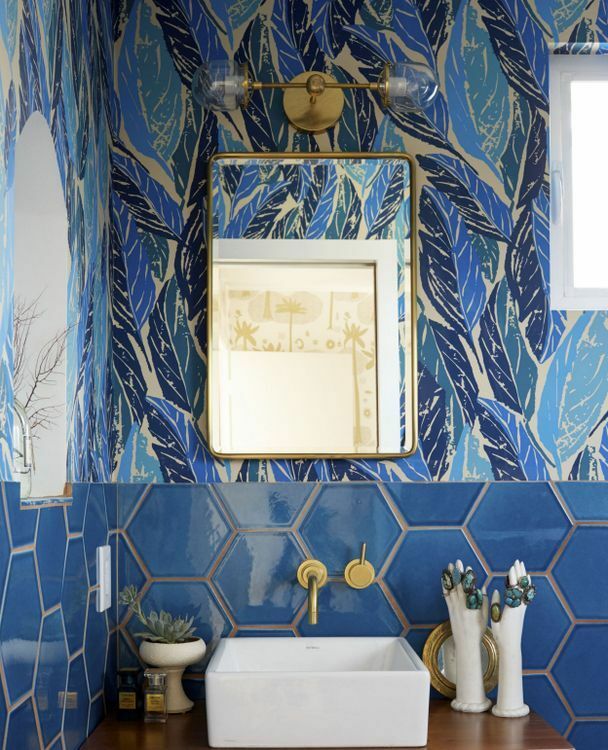 This entry was posted in Collective Soul, Decor Addiction and tagged interior design, maximalism, minimalism. I believe everyone should live in the home they love, not be a slave to trends. Trends are changing constantly and to keep up is futile. I like classic pieces and those that tell a story of a life lived. But, I could not live in any of the above homes. Too much color, too much stuff, just too much! My mind would never rest. I would feel anxious and discombobulated. Agreed!!! I could not be comfortable or feel at peace in any of those spaces!!!! Homes should reflect the people who live in them. One isn’t better than the other. This post felt a tad judgemental using words like boring etc. but I do agree to each their own! I am totally “All in” the Maximalism movement. I have tried editing so that I can keep up with the latest minimalist craze, and it makes me sad to remove my beloved treasures. Now, I’m off to go find some bold curtains for my naked windows. We are soul sisters! I move around furnishings, art, and tabletop decor pretty frequently. My husband once accused me of moving a light switch when he was away on a business trip because he couldn’t find anything when he returned! 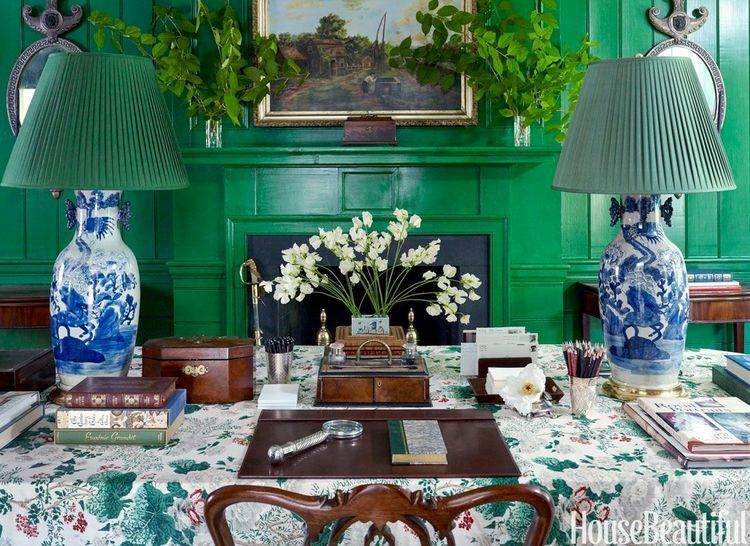 I like to keep it “fresh” and it sparks my creativity to rearrange a room or mantel. 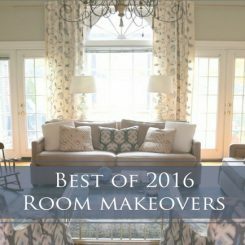 I often think a room looks perfect – until I figure out another way to arrange it! Emily, thanks for sharing. I haven’t read Kondo’s book, but I have many friends that love her. I think I’ll try to watch some more episodes of her show, although it made me really overwhelmed to see all the mounds of things the homeowners had to get organized. Decoration is my gift, but organization is definitely not! Thank you for sharing that, Susie. I know that having to go through a loved one’s lifetime of things is extremely difficult. I had to do that a few years ago, and it was so hard. I’ve told my kids that when I’m gone and they take what they want to hire an estate sale company and throw the greatest sale ever! I think it is perfect for some personalities, but those pictures above cause me to feel anxious. There should be freedom for people to decorate with what they love, whether minimal or max. The era of Pinterest and the internet has dictated a lot of what a person feels brave enough to do in their own home. It has squelched creativity as much as helped. Very interesting, Lesli! Can you tell me more about how you think Pinterest has actually squelched creativity? Maybe overload? Before Pinterest, I had a few favorite design magazines where I’d get a small inspiration from, then springboard off of to create my own look. Now, I can get on Pinterest and search, say “mantles” in my style. I’ll instantly have multiple decorated mantles to pin and copy. I usually add my own spin, but I find myself copying more than creating. It might be my busy stage if life, and it certainly makes decorating easier sometimes, but I’m not nearly as creative as I used to be. I like the Nick Olsen bedroom! I know, I love it so much!!! YASSSS! It is very much British Country Manor House, which I’ve always loved. I want a house in the Cotswolds. Actually, I want a MANOR in the Cotswolds! It’s not for everyone, haha! It’s actually quite difficult to layer patterns and colors in such a way that it doesn’t look like Crazy Town. As you said, it’s a fine line! Love the content and pictures! So happy to add my name to the list of maximalism lovers… Living confortable and surranded by things you Love is always on Trend!! I love this blog post! I think i fall somewhere in between. It’s these nostalgic/historic/sentimental items that truly make a house a home and give it soul which so many interiors seem to be lacking these days! Most of these pictures are a bit too much for me, but I am not a minimalist either. One thing I have to have around me is some color. So many bloggers homes look like a white out in a blizzard, and oh so boring. I like certain old things , but I also mix it with new things, preferably something unique and hand made, not Chinese mass produced things. I’m not going back to wallpaper again though. Been there and done that. Too hard to remove! Well, you know how much I love color! I really want to do wallpaper in my dining room, but I know I have to get the *PERFECT* one or I will regret it when I have to remove it . . .
You are so right in how you describe this style. 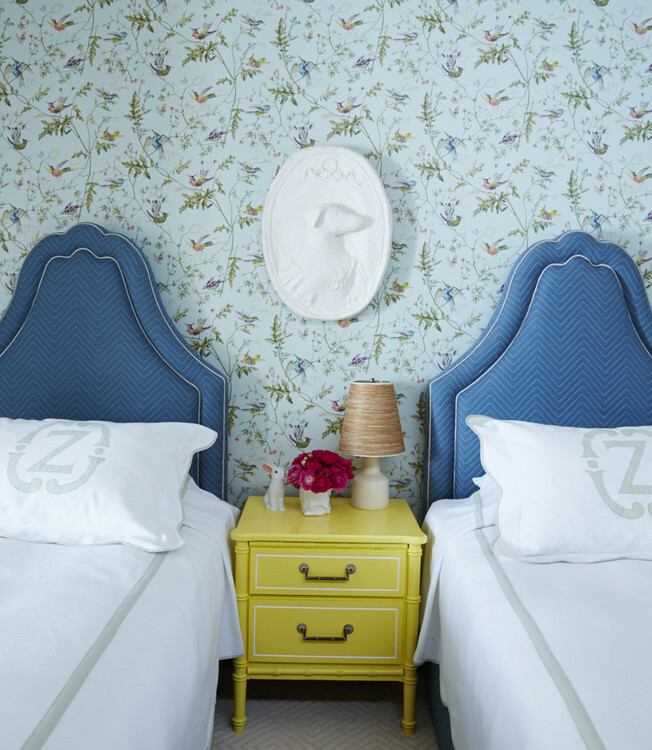 I am a huge Dorothy fan – I really want to visit The Greenbrier Hotel someday. I haven’t heard about the Swedish Death cleaning thing – thanks for sharing that! I LOVE the part about keeping books! I had to downsize a lot of mine when moving from my 4-bedroom house to a shared apartment. What was left had to live in storage for a year, but I just brought them out and it’s so good to have them back. I have sooo many books. I’m ready to add a bookcase on one wall of my dining room, making it also a library! I have plans, but not sure when I’ll get to that project . . .
You are speaking my language! My motto is more is more. Wow! 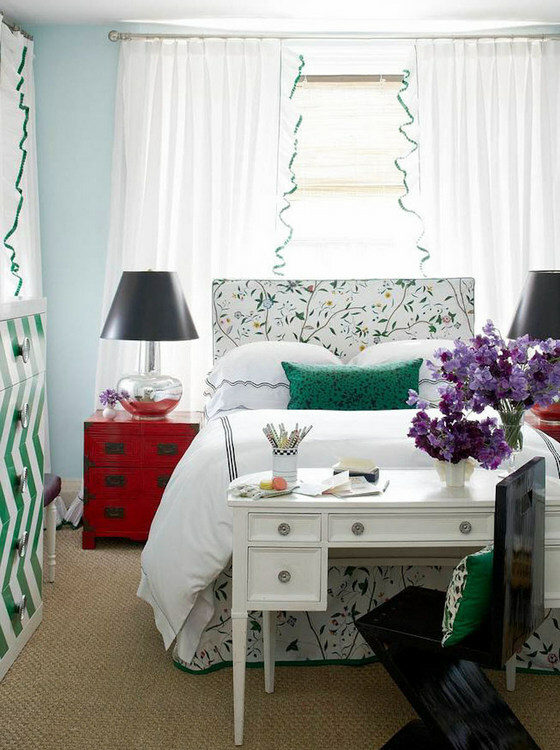 Some of these rooms are gorgeous! They’re a bit too much to live in day to day for me personally. But there are definitely elements to the rooms I really love. I find it kinda funny that minimalists claim nobility. The rooms often look so emaciated that I often thought they were merely a reflection of their owners inner deadness. You know because beige is so restful and peaceful and all…. Interior design has been so homogenized by HGTV cookie cutter design! People think there is only one bland, gray/beige way to decorate their homes, and unfortunately it has also carried over into prospective home buyers’ expectations. 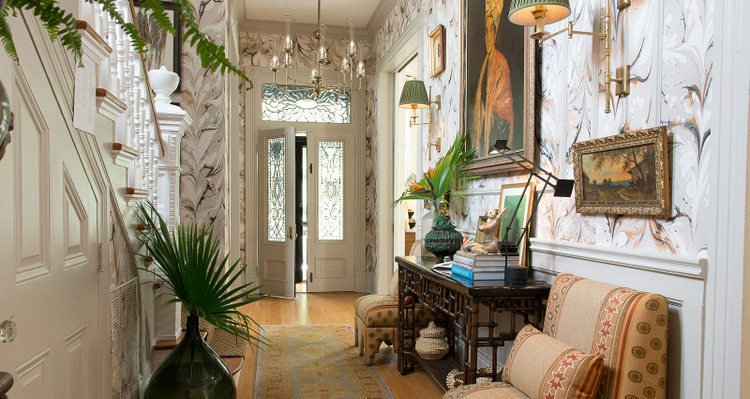 There has always been a portion of the population who has continued to live with pattern, color, and beautiful , classic (and expensive) wall coverings regardless of what is being sold to the general public on television. Yes! Thank you for sharing your perspective. Cookie cutter is easier, safe. But it doesn’t often bring joy. Love this post. It makes me feel okay with classic looks that may not be popular right now. I have grown to love a serene feeling ( and off white walls) in my home, but that doesn’t have to mean no color in my rooms. 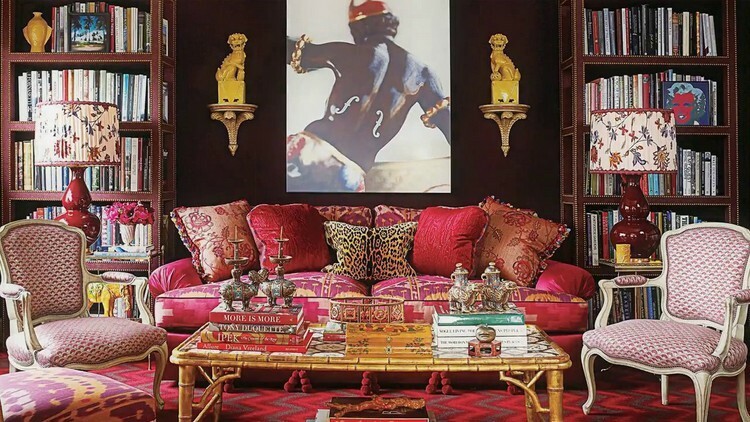 Opulent comes to mind when I look at the photos in the new maximalism post. Some people prefer that others prefer minimalism (I happen to). There is no right or wrong. Your home has to reflect your own style whatever that is. Trends come and go sTyle never goes out of fashion !!!!! I think all of those images are inspiring! 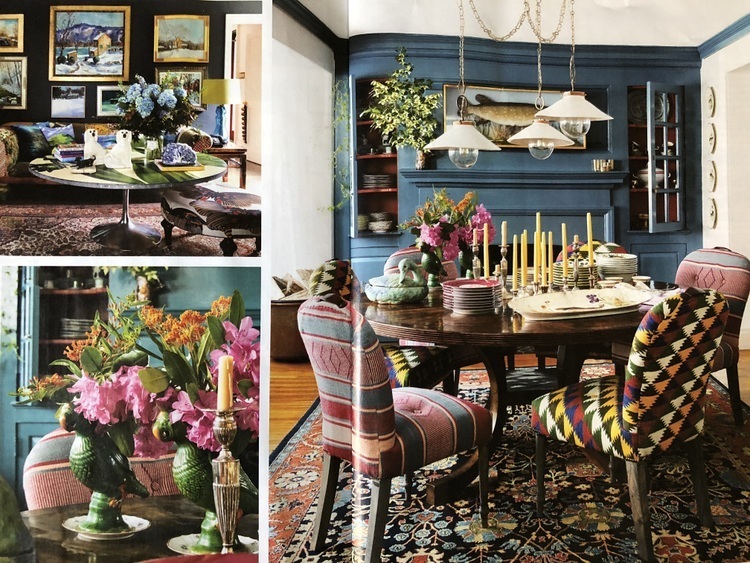 You know I love colors and patterns, but I think I’m more of “Edited New Maximalist”. I like bigger, bolder, more singular pieces rather than a lot of smaller things on tables and display areas. Does that make sense? Absolutely. This look isn’t for everyone, but it’s interesting to see that many of us are pushing back against the trend of minimalism. The pendulum always swings! Thanks for commenting! Thank you, Sheri. I’ve always been obsessed with seeing how different people live in their homes. It’s probably the reason I love going on home tours, open houses, and estate sales. 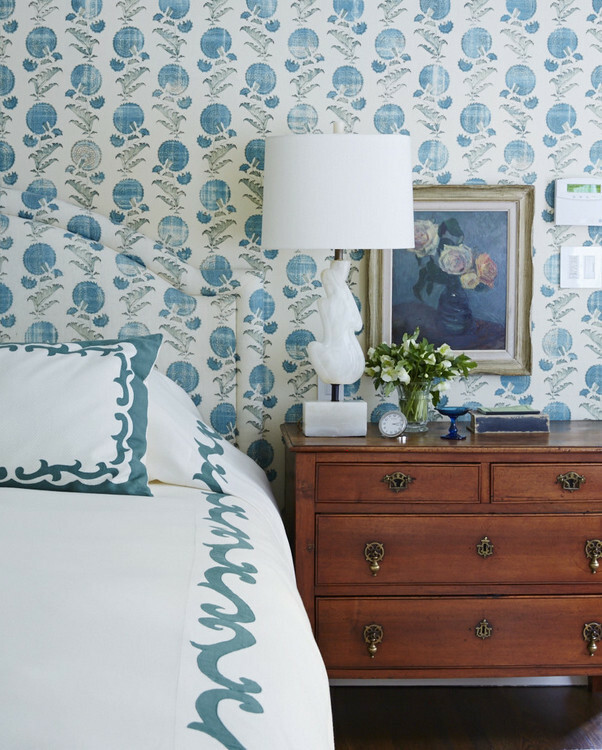 Not only are styles so different, but we all live in such different ways – and it shows in the interiors of our homes. I like getting a peek inside a person’s home, because it’s getting to see how they think and thrive. Thank you for sharing your thoughts with me! Love this post! While minimalism might be right for some, if we were all alike it would be a boring world! Love the point about curation not collecting and the reuse of things! Wow such a plethora of excellent images!!! 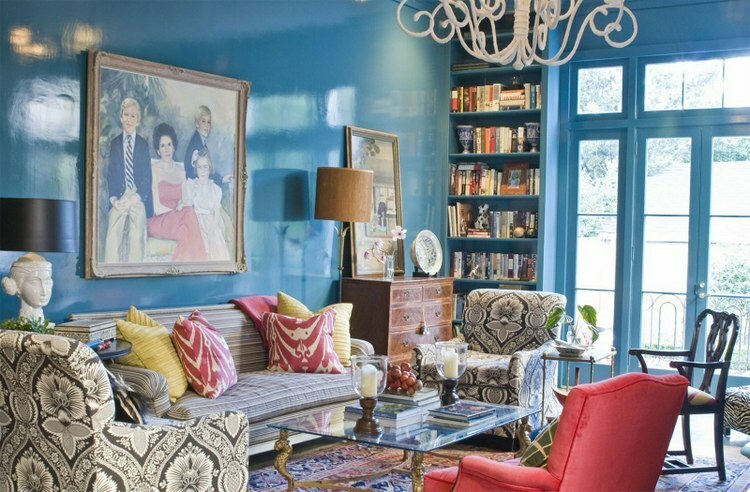 I’m fully on board for embracing color, pattern and new maximalism in the home. I love it! Nicely done post, Kristie! I’ve found everyone has their own levels of tolerance for either maximalist or minimalist interiors. I have no problem with any style as long as it is well done! What is appalling and lazy is when sheeple don’t think through what will bring THEM joy, and just do whatever the crowd/media/HGTV deems is currently IN. That’s always a losing game (not to mention wasteful!) since what’s in is constantly shifting. Unless you are staging a house for sale, there is no excuse not to make it a reflection of your taste and likes. I couldn’t agree with you more! Well said! Thank you for sharing that, Angela! I need to read Condo’s book, for sure. Like you, I get so many inspiring ideas visiting homes that give me a peek into how others live. I went to the Victoria and Albert Museum the summer before last and found it fascinating! Very nice post! As someone else commented, I think I’m somewhere in between minimalist and New maximalist! 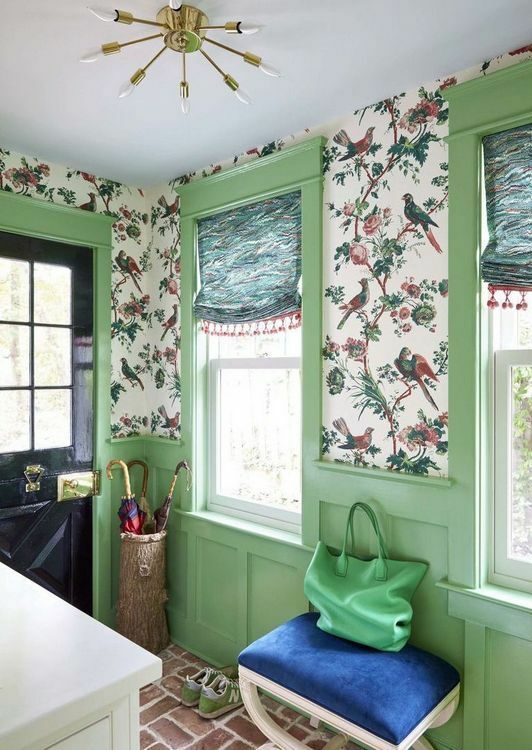 I love my new white kitchen, but my Roman shade and breakfast nook has a very strong modern floral that is mainly aqua, black, and white! My daughter and son in law like no color other than a warm gray. Their apartment is extremely pleasant though! 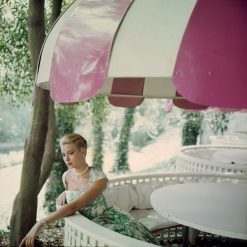 Such an inspiring post with gorgeous images!! Thank you for sharing your thoughts on this hot topic! I appreciate this! While I am probably firmly in the middle between max & min, I’m preparing to move across country, so I want to get rid of it all, lol. I like this positive spin on collecting and curating stuff!